No matter where you hit the ground running, the new Peregrine Shield 2 will adapt to the ground you’re on. An all-day, rugged sneaker with the added Run Shield technology that keeps kids feet dry. RUNSHIELD Upper - Moisture repellent and wicking material. 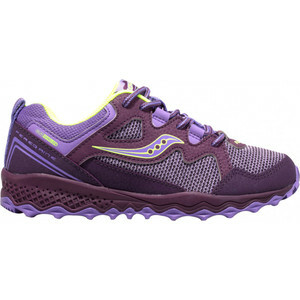 Lightweight Material - Breathable material ventilate the feet with a steady airflow. Up the Foot Laces - Easy to tighten and loosen with a flat comfortable tongue. Anti-Microbial Lining - Protected from bacteria that causes bad smells. Compressed EVA Midsole - Responsive midsole offers rebound and protection. Flexible - The flexible midsole makes take offs, landings and transitions smooth. Strong Grip - Solid connection made between ground and sole of the foot. Durable Rubber - Anti-abrasion and ready to tackle rough terrain.